Casino games can be quite fun to play, especially when you like to experience the Las Vegas thrill without gambling for real. 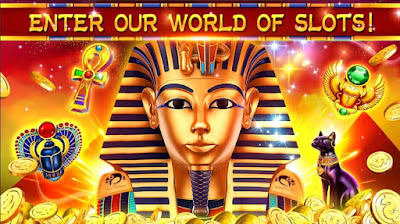 Vegas Slot Games is a fun, interactive and addictive casino game with addictive slots gameplay where you can spin the slots to win huge jackpots. Because of all this game has to offer, we liked it so much, we decided to pronounce it our Casino Game of the Week. Read more about the game. For all lovers of casino games, this Las Vegas slots game will give them the chance to enjoy the highly realistic Las Vegas experience and thrill as they try to win big by placing their bets and spinning the slots. The game does not require placing real bets so you won’t lose money you can only play for fun and win huge jackpots. Play the game for any Android device you want, anytime and anywhere you like. Fun and interactive, quite easy for playing, you will have fun spinning the coolest slot machines and winning big. The Vegas Slot Games is a great choice for all those casino players that don’t like to gamble for real or to lose real money but to only experience the realistic Las Vegas thrill and have fun to win huge jackpots. The game for all these players is filled with free spins specials, big wins and bonus jackpots and the players can even use the auto spin for easy hands-off play. Each player needs to place his bet, spin the slots and try to win the multi-million jackpots. The game can be played anytime and anywhere, from any device with the app’s instant accessibility. Free coins are given to you on a daily basis so you can place more bets and many boosts to get better chances for winning big. Experience the realistic Las Vegas feeling and the thrill of casino games will get players hooked to these amazing slot machines on their first try. Download it now on Google Play for free to experience the Las Vegas slots and win huge jackpots!